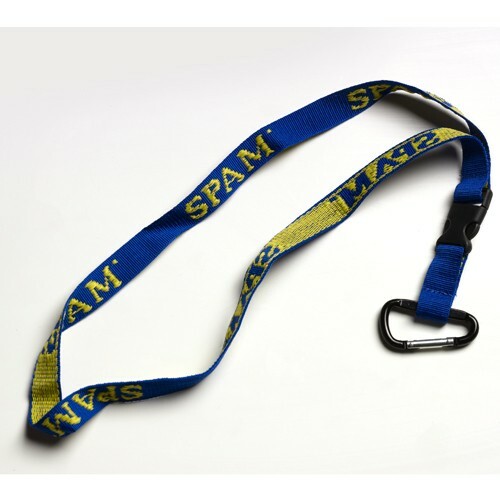 Blue and yellow woven lanyard with SPAM® Brand repeating. Easily snap the bottom portion off which allows for easy detachment of keys or ID. Includes climbing hook clasp. 20" long by 1/2" wide.